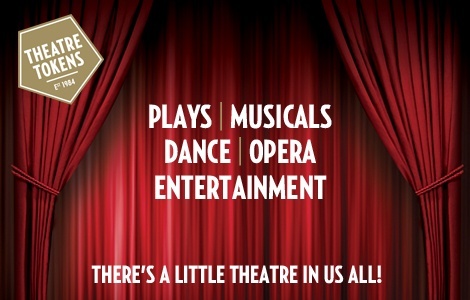 Mansfield Palace Theatre sell and accept Theatre Tokens! Theatre Tokens is the biggest national theatre gift voucher scheme. You can buy in confidence as they are run by the Society of London Theatre, a not-for-profit organisation, and are usable at theatres nationwide. Not only does that mean 240 different shows, but you can choose to stay close to home or try somewhere completely new. Theatre Tokens have no expiry date so there is no pressure to choose straight away, making them the perfect present for anyone… at any time. Theatre Tokens are available in values of £5.00, £10.00 and £20.00, so you can give a little theatre, or a lot. You can buy locally from participating theatres, including Mansfield Palace Theatre, and from selected branches of WHSmith and Waterstones. To find out more information about how to use them, please click this link.